The winner of the January Print of the Month goes to one of our new members, Catherine O’Connell. Congratulations Catherine! I took this picture from my house. The lighting was very unusual. The sun was shining where I was and you could see the bales highlighted. 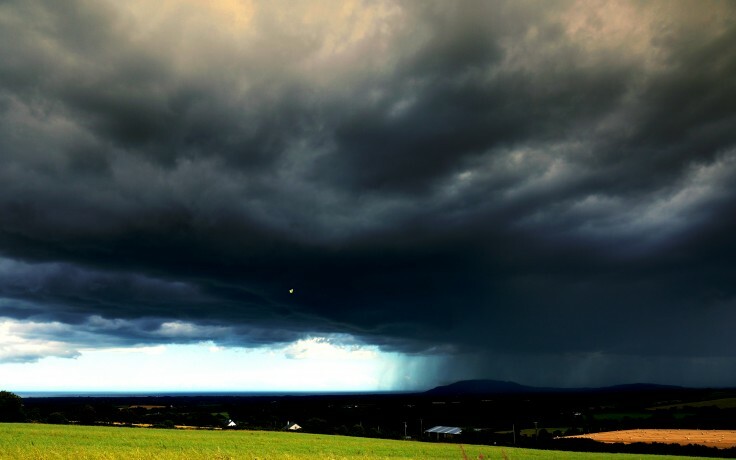 In contrast there was a thunderstorm over Tara Hill which was surrounded by darkness. Interestingly there is a something flying around in the sky that was also captured. Between now and the 4th March we have three outings on the subject of portraits including a Portrait Masterclass with Charlie Sharkey this coming Saturday 15th. Plenty of opportunities for a “good entry”!